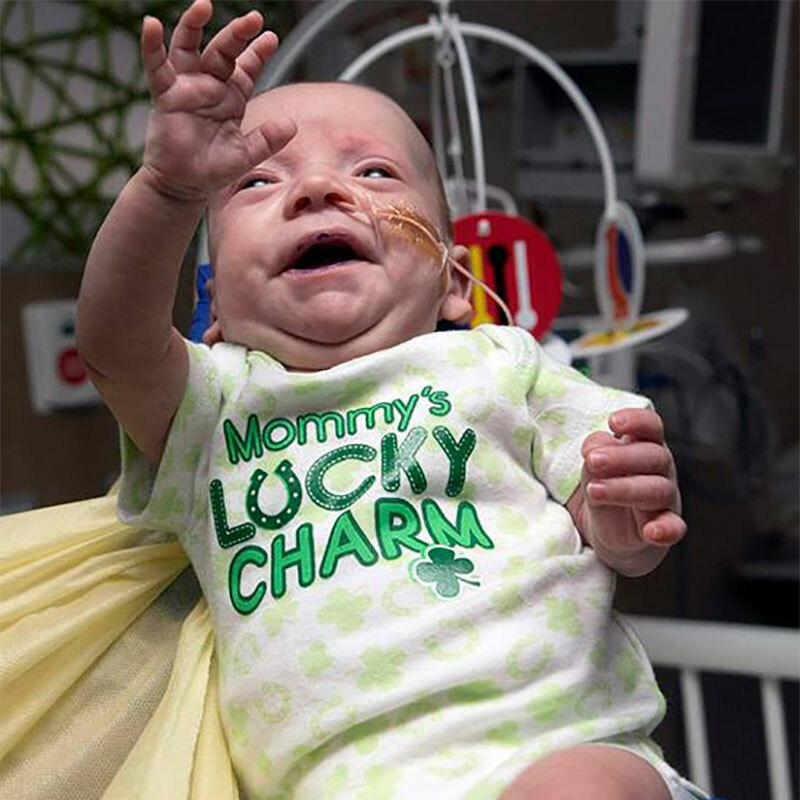 There was a little luck of the Irish and a lot of amazing children in Akron Children’s Hospital’s top “In the Moment” photos in March. We invite you to take a glance at those you may have missed, or a second peek at those you’ve already enjoyed. 1. Meet 7-week-old Madelyn! 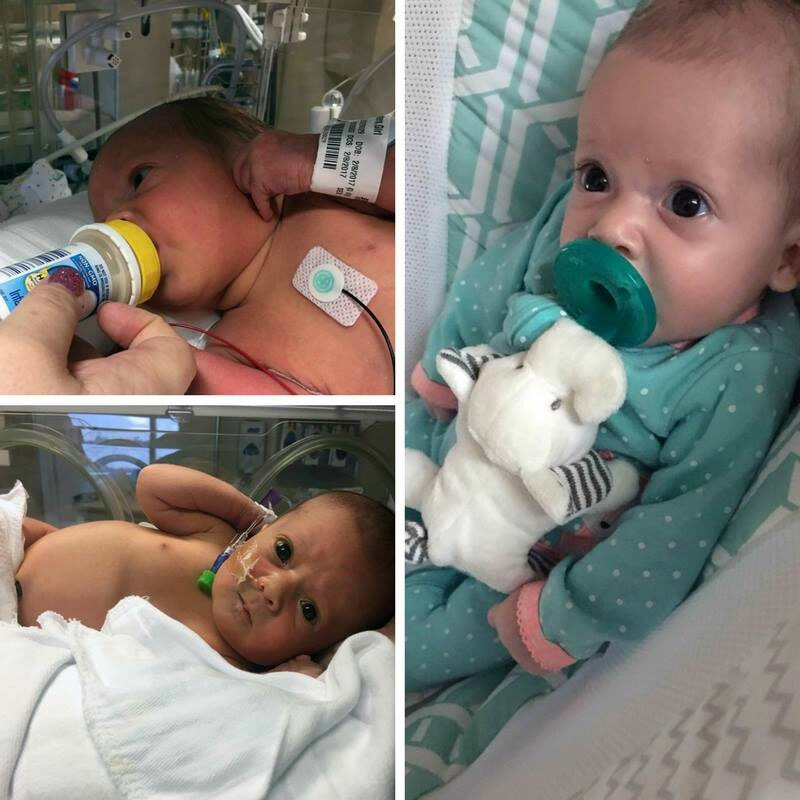 “It was so scary the entire pregnancy but now she’s nothing but a blessing,” says mom Olivia Waters, who is sharing her story to give hope to other families. She has spina bifida, hydrocephalus, chiari malformation and had numerous surgeries during her 4 weeks in the NICU. She had back closure surgery the day she was born, a colostomy, VAD (ventricular access devices) then a VP (ventriculoperitoneal) shunt. 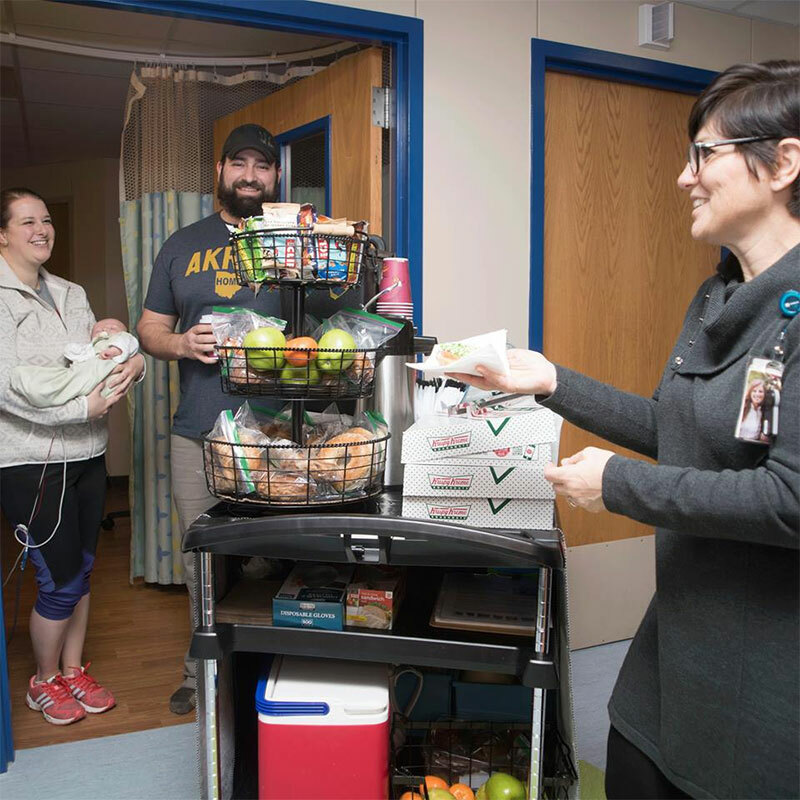 The NICU team was beyond perfect and everyone else in the hospital. 2. 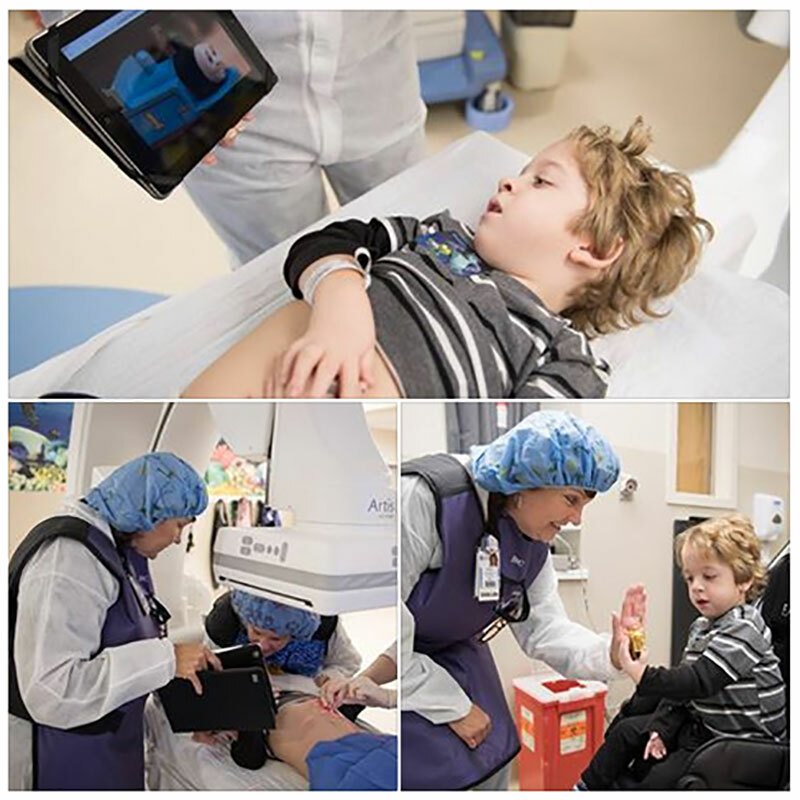 7-year-old Wyatt Hubbard is making history as one of the first patients in the country to receive a promising new gene-targeted therapy for Duchenne Muscular Dystrophy. 3. Ryan and Ellen Cohen with their 6-week-old Calvin take a coffee and donut break with Judy Doyle at the coffee cart. 5. 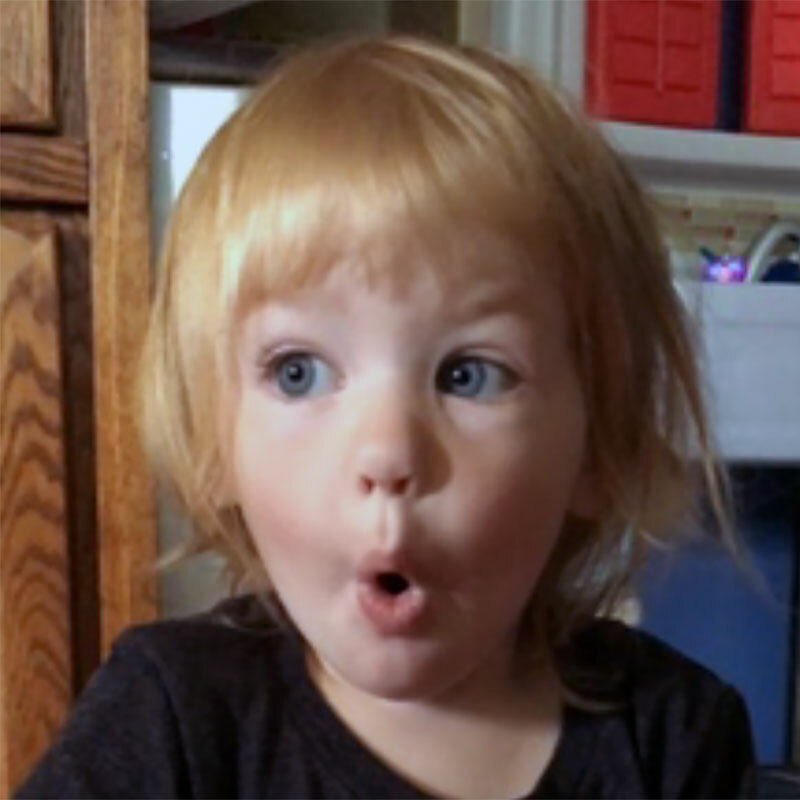 McKenna has a surprising tip for other toddlers — don’t drink too much milk. Her dad A.J. Hale shares what happened to her (the ER was involved!) and how much is too much. 7. 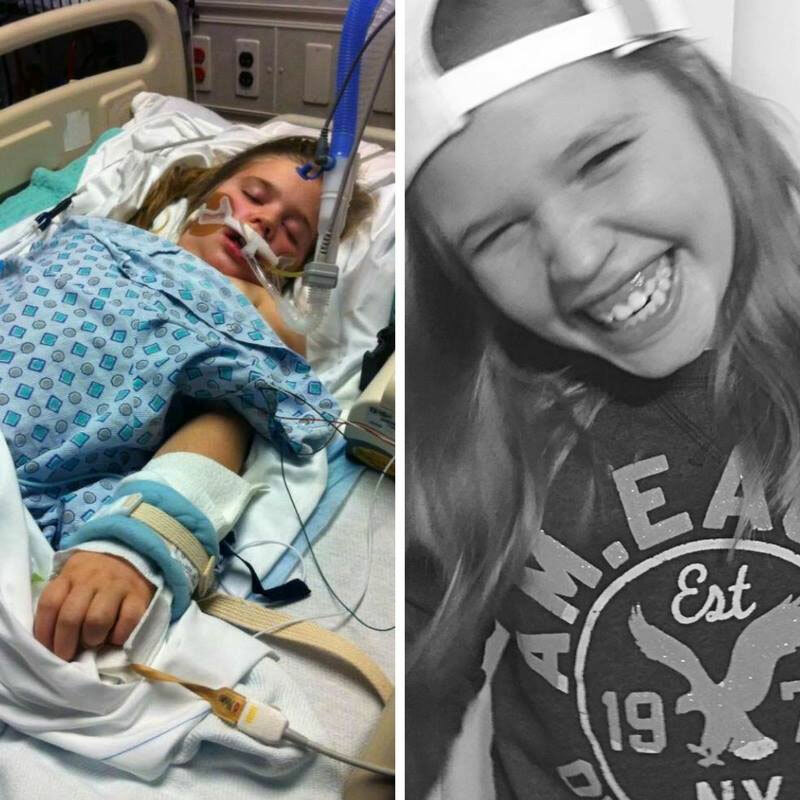 For 9 years, Kiersten, 12, battled epilepsy so bad that she had seizures lasting 45 minutes and was unable to speak. 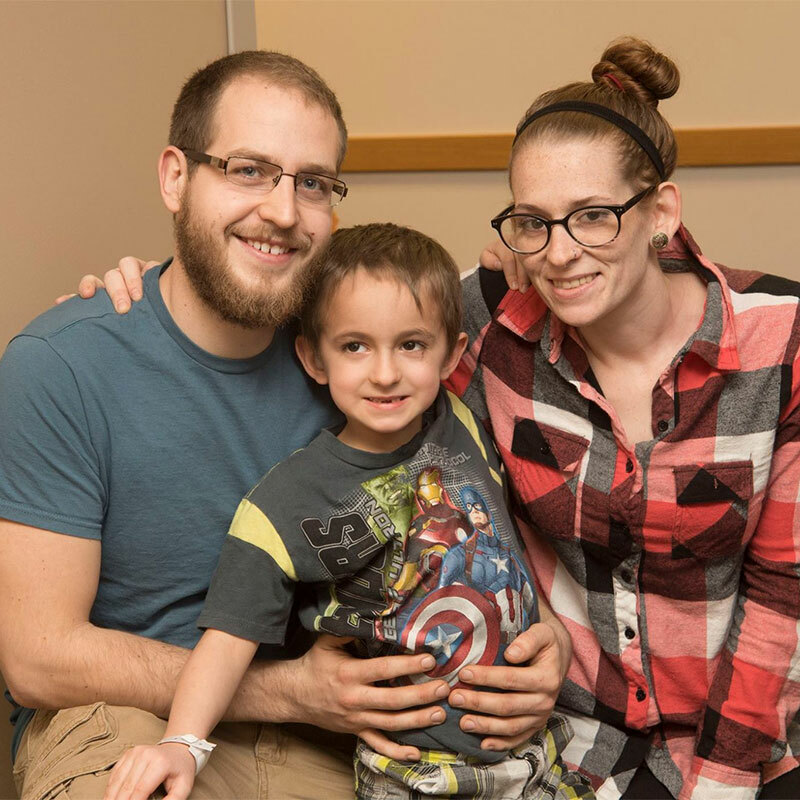 But her life took a turn for the better when her mom, Amanda N. Cazzell, turned to Akron Children’s and Dr. Thomas Enlow for help. He found the right treatment “recipe” to get her life back on track. 8. 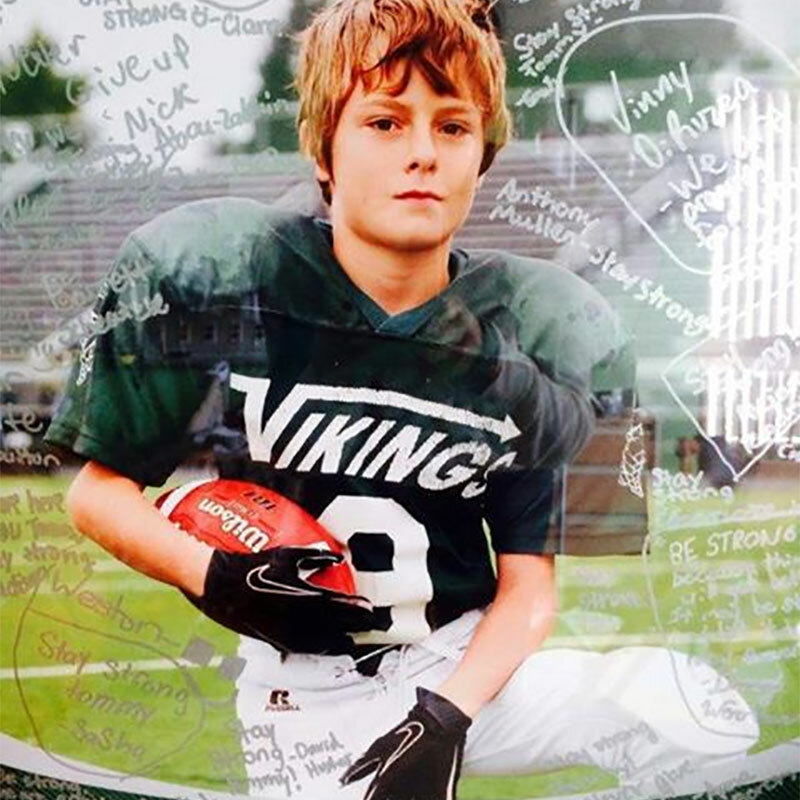 Join us in remembering and celebrating the life of Tommy Domotor, who fought brain cancer with strength and courage until he succumbed to the disease and passed away at age 15. 9. Connected to an IV pole? 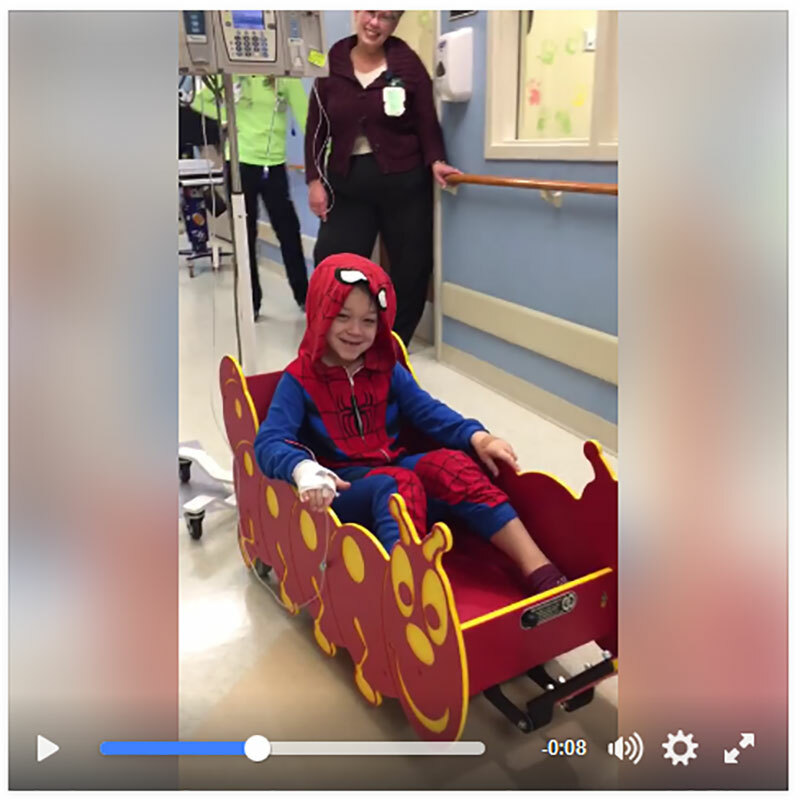 No problem, says Child Life Specialist DeAnne Bunevich, kids can still get out of their rooms. 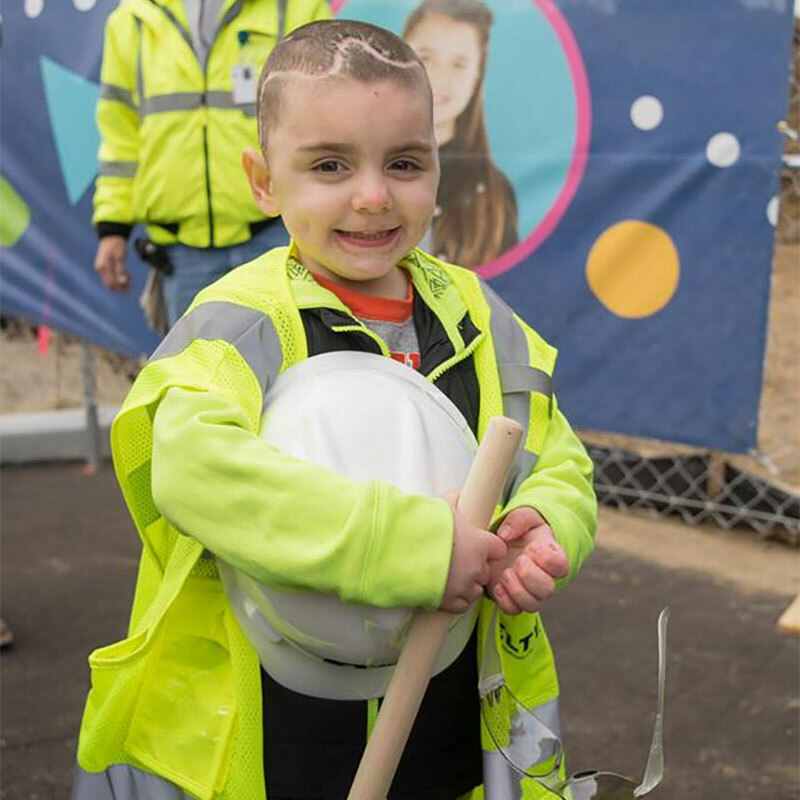 A new caterpillar shaped wagon helped 5-year-old Sabastian “inch” around the Beeghly campus for some fun with his mom Victoria Taylor of West Middlesex, PA, recently. 10. Today, with the help of a few friends, we turned some dirt to commence the 230,000-square-foot building expansion on our Akron campus!